My Kia Morning 2007 coasted smoothly down the slope on the Southern highway, and I had no travelling companion along with me this time as usual. Although I was not a stranger to this route, b this was the first time I received no moral support from any of my disciples. The situation forced me to cudgel my eyes and brain to keep me concentrated on my driving. Fortunately I had Mat Dieu who has always been playing successfully the role of a “magical eyes” which leads to save us from traffic pressure. The plan for this journey has been drawn up from the very first day of the year, and it takes nearly 2 months for that plan to come into reality. Owing to the gentle affinity and the supporting of Buddha; on this occasion, Mat Tu was in a leisured time and she could take care of our Song Nguyen House, especially the newborn kittens. It took me a time to clean all the excuses and take the chance, let alone the mundane people who have burdened from their children, grandchildren, distance obstacle, household responsibilities, etc, how can they have time to accomplish their desires.. This leads to the situation that many people rarely had the chance to take a journey, even every 5-10 years in their lifetime. Even when they got the chance, they will be tortured by the nostalgia which was originated from the place they have just left. Hasty and fidgety are best adjectives to describe their common feelings. At that moment I treasure my light-hearted life more than ever. Above all my intentions, our Buddha had blessed Quang Loi to petition me for giving him a Dharma teaching. Then along with the rites, I had the opportunity to see my disciples. Driving on the new highway from Long Thanh to District 9, Ho Chi Minh city that has just been constructed to be more wide and safe, my memory accidently threw back to the day I had to struggle with potholes several years ago. The comparison makes me feel more pleased. Although Vietnam still has a long way to go, seeing the infrastructure development has been improved day by day has showed us a nation full of vitality. At least we are happy more than people in Syria, Libya, Iraq, Thailand, Egypt, etc who are suffering from an insecure regime. It was also my first experience driving on the Nguyen Cuu Phu, Nguyen Duy Trinh, Do Xuan Hop Streets on District 9, Ho Chi Minh city. Formerly, every time thinking about Phuoc Long, my thought was always heading to a distant and remote shooting range, not even have the supplying of electricity and water. But now everything has been turning up to be completely different. There is only one imagination that still stays the same in my mind: the smiling face of Mat Tri Vu, the first disciple that I have met in my rites this time. I, Mat Dieu and Mat Tri Vu was passing by a coffee shop named “Crystal” which was decorated in European style with main color in white. I guessed this place is the widest coffee shop in Thu Duc District. The stream of stories that Mat Tri Vu had told me about his experiences on learning and practicing Dharma gave me lots of pleasure. He spent so much time on reading my articles on the website chanhtuduy.com that it came to a Yes to every articles when I asked him whether he read it or not. On this occasion, I am going to explain for you why I have been specializing on chanhtuduy.com that much. In the old days, the attendance of Buddhist monk and layman in a Bodhimandala to listen to Dharma was compulsory because at that time the society had no written language. For that reason, the person who obtains the fruit of deeds was called Sravaka, the name was given to the disciple of Buddha who hears and learns the truth from Buddha and finally attains Nirvana. Listening to Dharma is accordingly considered one of ten activities of Buddhist which creates great merits. After Indian society invented the written language, Buddhist who chose to read Dharma lectures was also received the same merits as those who listen to Dharma. It is not a coincidence that words of Post-Han dynasty was left as following: “Reading is a way to converse with the Sages”. Since then, Buddha’s lectures was transmitted to scriptures instead of oral-transfer only. Sutras (Buddhist scriptures) becomes a Dharma’s treasure under Three Jewels (Buddha, Dharma and Sangha). Therefore, T’ang Tripitaka – Hsuan Chen spent 18 years to travel across India to seek Buddhist scriptures and brought back to China. After that, it took 17 years with 3 times in total for Saint-Sage Marpa who is a yogi as well as an outstanding and excellent layman, the founder of Kadam lineage of Tibetan Tantric Buddhism to travel through India and Nepal to seek and learn as well as practice Dharma and brought Buddha teaching to Tibetan. Because the Technology Information industry seems to reach its extreme these days, we do not have to spend much of our time on seeking Dharma like our legendary Saint-Sages before. Just one click on the bar-task of any internet browsers, you can easily read a lot of Buddhist scriptures which belong to various kind of school and Dharma-door. Reading Dharma on the internet at this age is also considered Dharma approach. Not only Dharma’s listening but also Dharma’s reading keep us on the track of Dharma’s orbit. While reading Dharma, we acknowledge Dharma’s teaching and we ourselves know how to analyze every heading of Buddhist scriptures. Moreover, because you cannot read and comprehend all the Buddhist scriptures that obtains lots of advanced meaning, I act as an interpreter to explain in an easier way for you to understand. That method is so-called “The learning of communication”, which is one of the Five Great Learning of Buddha. I chose to express Buddhist scripture in my own way to help all of you easily understand the content of Buddha’s teaching. Moreover, this will be more suitable to the present regime, age and nation factors. On the other hand, when I put all my mind power, knowledge and mental power into the wording of the articles on the website chanhtuduy.com, I created a bridge to connect to your mind. And it is definitely a good way for you to hoard up your merit by reading Dharma. In conclusion, whoever are disciples of Song Nguyen’s Bodhimandala did not read my Dharma lectures by means of articles on chanhtuduy.com will not considered my real disciples because they disobeyed the most important Tibetan Buddhism’s taboos which means not respecting their Guru. That is one of the ten main taboos they have to follow. It is totally not that I want to penalize my disciples to satisfy my own purposes. It is all your choice to close the door to the truth of Dharma and the waves of Tantric Saints and Sages, holy monks, Pubbacariya’s souls (which indicated Ancient sages, ancient scholars, as well as meritorious person of the past). I gave thought to myself that not mentioned to the relationship in the attainment of Buddha between the Guru and the Disciple; in mundane social relation, when it comes to the situation that you are invited to a party, even if the menu did not serve you well, you should at least have an apple pie to please the hostess. Why don’t you even touch the dishes when I was well-prepared for the spiritual party? Therefore, it goes without saying that those disciples who did not read my lectures on chanhtuduy.com created a distance between me and them. Even if they practice Dharma continuously, the power which comes from enlightenment will not come to them. In Tibetan Buddhism, by studying the prerequisite training of Guru-devotion and the Graded Path, common to both the sutra and tantra, you will become vessel to hold the pure Dharma. This was written obviously by Arya Ma Ming in his masterpiece:” 50 Stanzas on Guru Devotion”. “What need is there to say much more. You all should reflect yourself to find your own answer. Not all the Gurus have to be well-written, and not yet all the well-written deliver exact meaning. Even when they deliver the truth of Dharma to you, not all of that portion can provide you inspiration. One more time, even if they meet all above requirements, rarely of them put all enthusiasm of mind-power into their writings. Although I am not a good writer, but I can assure you that my writings are proper and deliver correct meaning of true Dharma. I have been writing in the heart of Bodhicitta. For the sake of devotion towards your Guru, you yourself have full powers to determine the behavior of your body, your speech and mind. Of course, for those readers who just come across our website chanhtuduy.com, whether you decide to read and comment or not, it does not matter to the relationship between Guru and Disciples at all. Being a Buddhist practitioner in common, whoever “listening to Dharma” will automatically receive merits and blessings. Otherwise, you will receive nothing. On the other hand, for those who are my disciples, if you did not follow my teaching, you will gradually stay away from the supporting and blessing waves of deities of Buddha, Padmasambhava, Dakini which is delivered by the devotion towards your Guru. Since then, you yourself can take care of your spiritual destiny, you also cannot develop the capacity of “drawing others’ interest”, as well as the capacity of “dissipating misfortune, increasing benefits, surrendering unconditionally”. Based on the supernatural power of Buddha, Padmasambhava, Dakini to put all the mind-power into every of my lecture, I vow for any disciples of Song Nguyen’s Bodhimandala will be created favorable conditions to read articles on chanhtuduy.com to connect their mind with their Guru’s, Buddhist’s Saints and Sages. Their powers which come from enlightenment will be increase day by day and their intellectual insight will be more clear-sighted, their affairs will be flowing easy. I will bear all the offences which were arisen by the laziness of those who being disciples of Song Nguyen’s Bodhimandala (no matter they are inners or not). I will also receive all the outcomes that are going to correspondingly happen based on the law of causation which was the result of my not having enough enlightening power to improve the interest and surrender in Dharma on them. I vow that every people who had had the natural bond to come across and read one or many of my articles on chanhtuduy.com will be gardened merits and virtues for the future to be a Tibetan Buddhist, from now to the supreme enlightenment. Please excuse my translating errors, if any. I am looking forward to all the contribution to improve this translation better. Thanks guru …for giving me a new name…tantra Dorji…I am happy hearing my new name..it also helps me remember ling the teaching of guru and more relationship with guru..la…I hope new name might bring me happy and all the sentient beings to the path of Buddha’s nature la.. I am glad to read your reply. I would like to make it clearer to you that your Tantra name is interpreted as Mat Do Vy in Vietnamese. From now on, you are allowed to speak highly in front of Avalokiteshvara that I, Tantra Dorji, take refuge in Guru, in Buddha, In Dharma, In Sangha from now to the utmost achievement. I would like to send you hearty congratulations on your Tantra name of Tantra Dorji given by the Guru. May you always have the close connection with the Guru through practicing his teachings. May all sentient beings attain the happiness of the Buddha’s nature. I have read your discourse. I feel positive vibes around me after going through the article. I am thankful for your teachings and your unlimited kindness. I’m happy with your idea. Thank you for sharing the article and it is of great use for us. I hope to practice the dharma you have preached whenever i can. Thank you. Dear Guru, I have read this article. I am thankful for your nice article. May the Guru live long for the benefit of all beings. May all beings achieve the happiness of Buddha nature. Om Mani Padme Hum. A very beautiful article which once again shows the importance of reading Dharma lectures, by our esteemed Master Thinley Nguyen Thanh and obtaining the glorious merits. 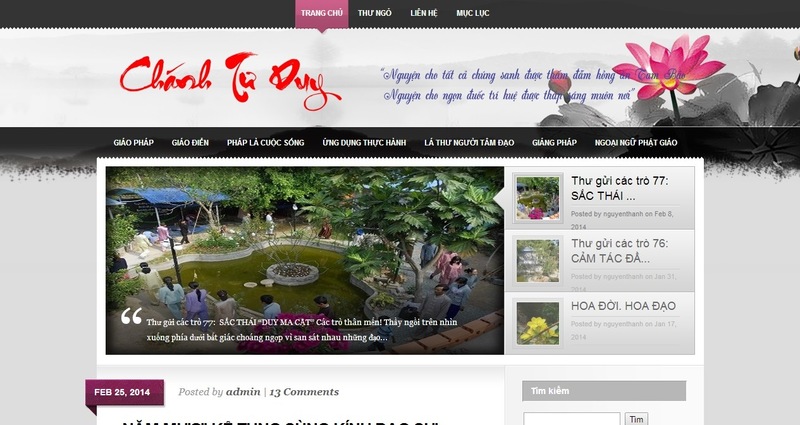 We are also blessed at Chanhtuduy.com by the wonderful and excellent translation efforts of our beloved disciple, Mat Dieu Hang, as well as other translator’s of the letters and articles. When one is afforded the opportunity to listen to Dharma lectures, you receive the same wonderful merits and should never turn down such an offer. Reading and listening to Dharma is a beautiful way to converse with the Sages. Saint-Sage Master Marpa is but one of many virtuous Saint-Sage’s that students and disciples alike can benefit, from their profound wisdom. The Sutra’s indeed become a Dharma’s treasure under the Three Jewels(Buddha, Dharma and Sangha).As one ventures down the highway of life, and the beauty that surrounds it, we are blessed by our revered Guru, Thinley Nguyen Thanh, and his guidance, both in his writing’s and in his spoken word. All of which is truly in the heart of Bodhicitta. The students and disciples at Song Nguyen Tantra House are truly grateful for this, and their body, speech and mind are immeasurably enhanced and purified. May all of us attain the ultimate happiness of Buddha nature, and especially our beloved Master. Blessings to the Guru and his consort, and to all of humanity. Om Mani Padme Hum. Tantra Citta (Jeffrey Bernard Forest). Bài giảng của Thầy rất hay và một lần nữa con hiểu được tầm quan trọng của việc đọc các bài giảng của Thầy Thinley Nguyên Thành tôn quý trên chanhtuduy.com để chúng con tích tập được công đức. Chúng con được tích tập công đức khi đọc các bài giảng trên trang chanhtuduy.com nhờ những nỗ lực dịch thuật của các huynh đệ kim cang như đạo hữu Mật Diệu Hằng và các đạo hữu khác,… Khi bất kỳ ai có được cơ hội nghe và đọc pháp thông qua việc đọc bài trên chanhtuduy.com thì sẽ tích tập được công đức một cách diệu kỳ, do vậy không nên từ chối cơ hội tuyệt với này. Đọc bài và nghe pháp là một cách tuyệt vời để kết nối với các vị thánh giả. Thành tựu giả Marpa là một trong nhiều thánh giả đạo hạnh mà học trò và đệ tử của ngài đã đạt được nhiều lợi lạc từ trí tuệ của các ngài. Những bài giảng của Thầy nêu thực nghĩa lời kinh của đức Thế Tôn trên trang mạng thực sự là pháp bảo trong tam bảo (Phật, Pháp, Tăng). Chúng con đang phiêu lưu trên đường đời đầy bon chen, cạm bẫy, nhưng chúng con được thong dong cảm nhận được được vẻ đẹp cuộc sống nhờ sự hướng đạo của vị Thầy tâm linh tôn kính, Thầy Thinley Nguyên Thành thông qua các bài viết và bài giảng của Thầy. Tất cả bài viết và bài giảng đều hiển bày tâm bồ đề của vị Thầy. Người học qua mạng và đệ tử của Thầy tại Mật Gia Song Nguyễn thực sự biết ơn về điều này, và hành vi thân ngữ tâm của chúng con được điều chỉnh và thanh tịnh theo quỹ đạo chánh pháp. Cầu nguyện tất cả chúng con thành tựu được hạnh phúc của Phật tánh. Cầu nguyện vị Thầy tôn quý và người phối ngẫu tâm linh của Ngài thân tâm an an tịnh. Bài giảng của Thầy rất hay và một lần nữa con hiểu được tầm quan trọng của việc đọc các bài giảng của Thầy Thinley Nguyên Thành tôn quý trên chanhtuduy.com để chúng con tích tập được công đức. Chúng con được tích tập công đức khi đọc các bài giảng trên trang chanhtuduy.com nhờ những nỗ lực dịch thuật của các huynh đệ kim cang như đạo hữu Mật Diệu Hằng và các đạo hữu khác… Khi bất kỳ ai có được cơ hội nghe và đọc pháp thông qua việc đọc bài trên chanhtuduy.com thì sẽ tích tập được công đức một cách diệu kỳ, do vậy không nên từ chối cơ hội tuyệt với này. Đọc bài và nghe pháp là một cách tuyệt vời để kết nối với các vị thánh giả. Thành tựu giả Marpa là một trong nhiều thánh giả đạo hạnh mà học trò và đệ tử của ngài đã đạt được nhiều lợi lạc từ trí tuệ của các ngài. Những bài giảng của Thầy nêu thực nghĩa lời kinh của đức Thế Tôn trên trang mạng thực sự là pháp bảo trong tam bảo (Phật, Pháp, Tăng). Chúng con đang phiêu lưu trên đường đời đầy bon chen, cạm bẫy, nhưng chúng con được thong dong cảm nhận được được vẻ đẹp cuộc sống nhờ sự hướng đạo của vị Thầy tâm linh tôn kính, Thầy Thinley Nguyên Thành thông qua các bài viết và bài giảng của Thầy. Tất cả bài viết và bài giảng đều hiển bày tâm bồ đề của vị Thầy. Người học qua mạng và đệ tử của Thầy tại Mật Gia Song Nguyễn thực sự biết ơn về điều này, và hành vi thân ngữ tâm của chúng con được điều chỉnh và thanh tịnh theo quỹ đạo chánh pháp. Con đã đọc bài này rồi ạ. Bài viết rất hay. 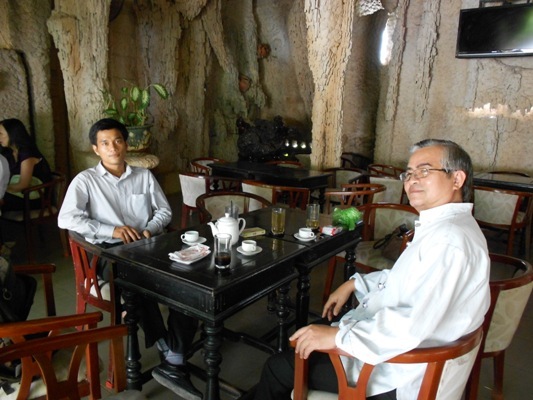 Con cảm ơn Thầy. Để tìm được vị Thầy chân chính mà nương tựa vào thời kỳ này không phải là chuyện dễ. Vị Thầy ngoài sự kiên nhẫn với học trò, vị Thầy có trí tuệ dẫn dắt học trò thực hành theo quỹ đạo chánh pháp với bồ đề tâm và lòng bi mẫn, ngài còn là người chỉ cho chúng con bản chất tâm đã bị che chắn bởi vô minh trong vô thủy kiếp. Con cảm tạ ơn Thầy. Chúng con luôn sùng kính Thầy. With out a spiritual master it’s not possible to achieve inlitment. Theo con hiểu, khi thực hành Pháp, việc nhận được sự gia trì từ ĐẠO SƯ và được tu tập theo đúng quỹ đạo chánh pháp là rất quan trọng. Đều này được đức Phật thuyết trong kinh Pháp Hoa; nếu không có vị Thầy tâm linh hướng dẫn thì hành giả không thể đạt được giác ngộ. this article has brought me so much happiness. I started studying the Dharma following an introduction to Buddhism at the Tibetan Buddhist Society in Western Australia last year and, although it spoke to me, I felt it would be hard for me to study under the guidance of a Guru due to a lack of time temples are open during the week and the shortage of Buddhism facilities at all. One day one of your followers messaged me, out of the blue on Facebook, just to say hi. I instantly trusted her. My dear friend, Violet Tran, started advising me on articles to read and immediately brought me closer to the Buddha’s teachings and their understanding through this website. Holy Guru, not only is this site a great place to study but for those of us living in a country that does not have a large Buddhist following, it is a site which can bring us closer to the Dharma but also provides us with a Buddhist ‘family’. I feel that the love you share through this site can only reduce mine, and others, suffering and I thank you for your words. i thank you for your guidance and this site but especially for your acceptance of me as one of your students. Thank you for the blessings and Vows that You made for any one who reads Your teachings . We are sunk in the ocean of suffering in samsara. Suffering is our sick. If we do not know how to practice the Dharma, our sick never is cure. I am thankful for your valuable teachings and I am proud of being one of your disciples. I also deeply rejoice in the good deeds of Mat Tu who has translated your article into English. Her English version supports to flourish your teachings all over the world for the benefit of all sentient beings. May Mat Tu achieve all legitimate wishes and be at ease on the path to enlightenment. I think I like ” Om MaNi PadME Hum ” mantra very much 🙂 Thanks to your teaching. Con cảm tạ ơn Thầy đã vì chúng con mà phát nguyện. Có nhiều khi, sau khi con đọc bài viết của Thầy con chỉ muốn viết một câu đơn giản ” Om Mani Padme Hum”. Con rất thích câu thần chú này. Con cảm tạ ơn Thầy đã chỉ bảo. I like it too! Om mani padme hum! Does this mean you are my teacher? I love reading your articles and live reading the responses. Am i considered Buddhist if i study every day? I must admit i do have trouble pronouncing some of the words in the reading. I look forward to each article. I’m still sinful for I’m not perfect but I’m trying. Thank you for all you try to teach us. Con băn khoăn liệu Thầy có chấp nhận dạy con và trở thành Thầy của con không ạ? Con rất thích đọc những bài viết của Thầy và viết comment sau khi đọc bài. Nếu con học hàng ngày như thế này thì con có được xem như là một Phật tử không ạ? Con xin thú thật với Thầy là con gặp khó khăn việc đọc hiểu một số từ trong bài viết. Con rất hoan hỷ và chờ đợi được đọc từng bài viết của Thầy. Con là người không tốt, con vẫn còn nhiều tội lỗi nhưng con sẽ cố gắng học. Yes, I am your teacher or your Guru. I am ready to teach you. 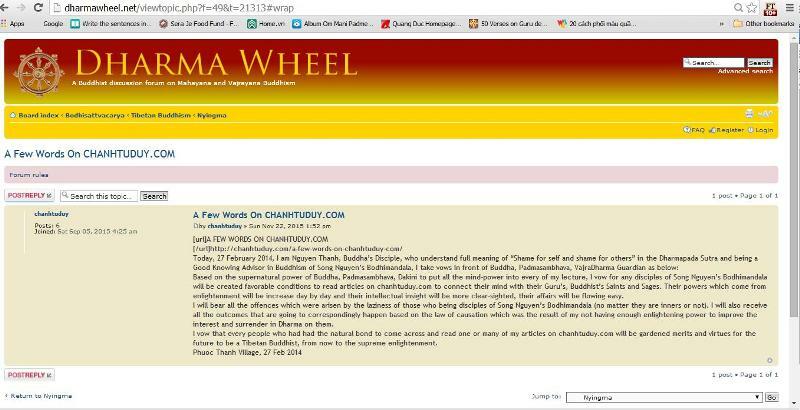 You are considered to be a Buddhist when you read my articles and comment on chanhtuduy.com. Because a Buddhist needs to develop right view. In addition, reading and commenting on articles on chanhtuduy.com is one of six methods which I have created. This method is called “Samayagdrsti-Prabha Samadhi”. However, you will be my official disciple when you take refuge in the Three Jewels and get the proper Dharma transmission from me. After reading the article would like to said thank you for the teaching it let me feel touching for the meaning in the article. Saddu Sahdu. I’m so happy with your advice and guidance. My name is Dr.Vinod Sagar and I’m a medical student. I want change my name according Buddhism by you. I want do more practice with you and I want spread my religion more in India. I needed your help bcoz I’m not perfect now.so plz guide me for do it. I want spend my life for Buddhism. THANKS for your great concerned. I hope you will helpe. I want say thanks for my great friend ROSE bcoz she’s tell me about this article. I glad to see you on chanhtuduy.com! After reading a lot of articles I will give you a tantra name. I promiss to hepl you in practice Dharma! Thanks a lot my dear Guru. It’s my honor to know page”chanhtuduy.com”. I am thankful for meaningful articles and precious lectures that give me more valuable lessons and find my confidence in my life. My life has changed remarkably for the whole last time since i knew “chanhtuduy.com”. Anyone who has a chance to read or listen to Dharma lectures will recieve the same wonderful merits. Blessing to the Guru and his consort, and to all of humanity. Om Mani Padme Hum. Tantra Citta. Thank you for your article. Please guide me on this spiritual path and help me become aware of the true Buddha nature. I am ready but ask you must read more articles! Dear Guru thank you for these words they mean so much to me. I thank you for this article and for your teaching. I am not impressing you to become your ideal student. But person like you is needed for us or whole world to share wisdom, compassion. Con không dám nghĩ rằng con sẽ trở thành học trò tốt của Thầy nhưng chúng con và cả thế giới này cần một vị Đạo sư như Thầy, người dạy cho chúng con hiểu về sự từ bi và trí tuệ Phật đà. Dear holy Guru, this article has helped me realize the power of positive energy that’s within us all. This is a true revelation and I am so thankful for your teaching! Peace and blessings be with you. Bài viết này của Thầy giúp con nhận ra được sức mạng của nguồn năng lượng tích cực ở trong chúng con. Đây là những lời chỉ dạy quý báu, chân thật. Con thật ơn phước khi được đọc lời dạy của Thầy. Thank you for all the effort you put into your teachings. I find them very clear and informative. Your dharma explanations have always given me good insight into various dharma teachings. I look forward to each teaching.